As a student I do not get out to the movie theatre as frequently as others, but this past Valentine�s Day I finally got a chance to go out and see Disney�s latest flick � Frozen. It was cute and I really enjoyed it, although it�s hard not to enjoy anything with Idina Menzel in it. Not to mention kudos to the animators for all the realistic snow and ice done in the film, it looked fantastic. However when I got home and started thinking about the movie I realized that I�d seen a story like this before... The more I think about it the more Frozen feels like a feminine re-telling of Disney�s Beauty and the Beast. Here are the ten links that I found. 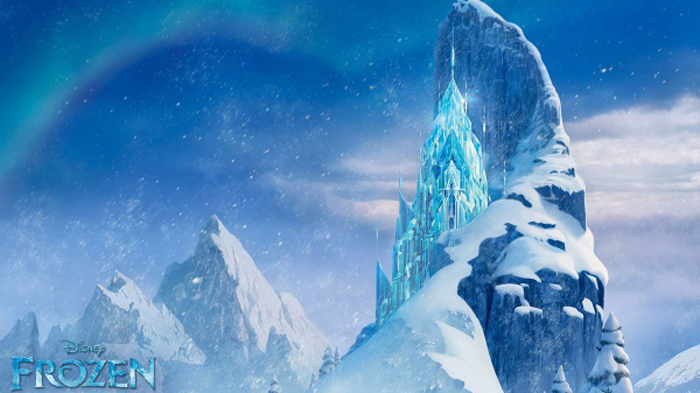 One of the biggest themes throughout the film Frozen is that of isolation. Anna and Elsa are sisters that were once close but now due to an unfortunate accident have been separated and grow up in isolation from each other. Then when Elsa is of age to become the Queen and the gates are opened, it doesn�t take long before her powers are revealed at which point Elsa goes into isolation again, this time in a large snowy forest. This isolation both physical and emotional in nature was also a very strong theme for the Beast. The Beast also grows up in isolation with no parents to speak of and instead of a sister he is given the servants of the castle. 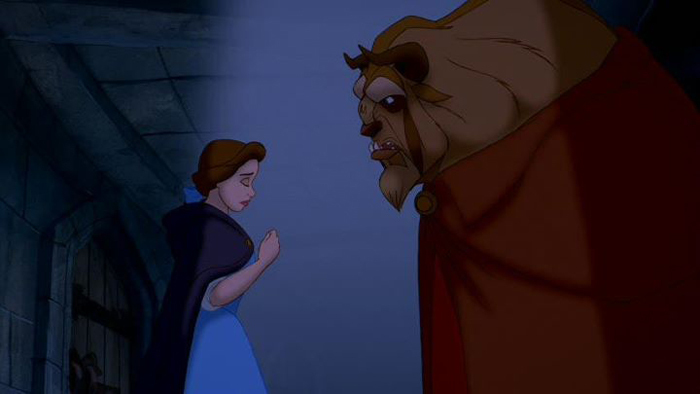 Later in the film after Belle has been at the castle for some time and Beast has developed feelings for her, she leaves him isolated in the castle again to go care for her father. While there is a difference in its origins, both films use magic to isolate one of their main characters. 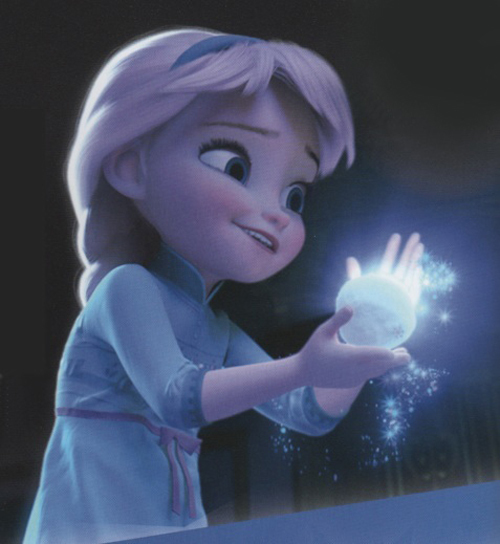 Elsa is born with magical powers that she can�t control and thus the castle is locked up and she remains isolated. 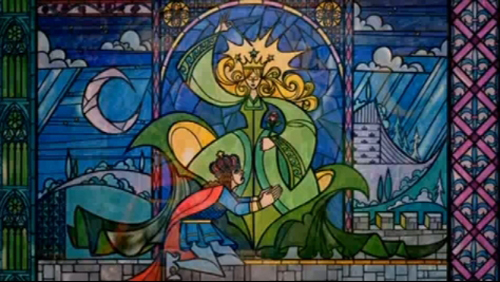 The Beast ends up under the curse of an Enchantress and ashamed of his monstrous form the Beast concealed himself inside his castle, isolated until Maurice enters the castle ten years later. Both of these characters go through a great transformation of character. Elsa initially fears her own powers and The Beast is spoiled selfish and unkind. Over the course of these films, these characters develop and come of age turning the magic from bad to good. In the case of Elsa she learns to control her magic through the power of love. Belle and the Beast manage to lift the curse on the Prince through the power of love. In turn these love lessons lead to happily ever afters. It is also interesting to note that Elsa becomes Queen on her 21st birthday and Beast�s enchanted rose blooms only until his 21st birthday. Both Frozen and Beauty and the Beast draw strongly on the theme of sacrifice. In Frozen the first real example we have of sacrifice comes from Elsa. In order to protect her sister she sacrifices her own happiness and freedom and grows up in isolation. This familial sacrifice is strongly paralleled in Beauty and the Beast. 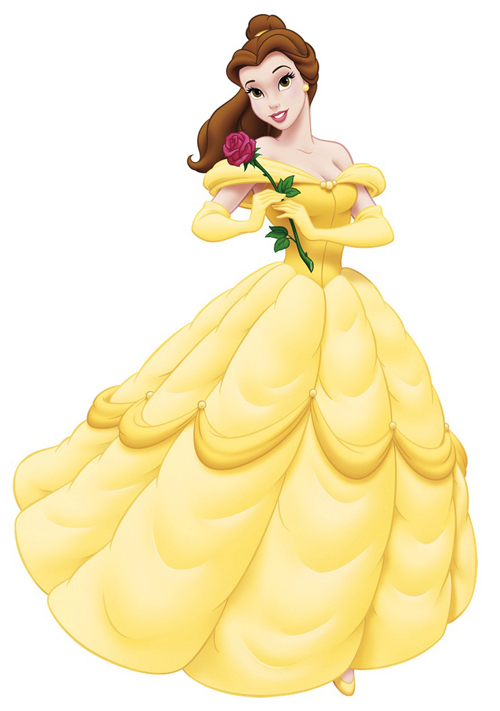 In the beginning of this film we see Belle sacrifice her happiness and freedom so that her father might escape and live. At the end of Frozen another great example of sacrifice comes in at the end when Anna throws herself in front of Elsa, of course the momentary despair is quickly dissipated when the audience learns this is the act of true love that will save them. Near the end of Beauty and the Beast we get our second real example of sacrifice when the Beast lets Belle leave the castle, despite knowing that if she does he will likely remained cursed forever. However, like in Frozen, it is this act of true love that will ultimately save him and lead to a happily ever after. A part of me feels that the wolves portrayed in Frozen must have been an ode to those we found in the Black Forest of Beauty and the Beast and not just because they were both found in snowy forests. 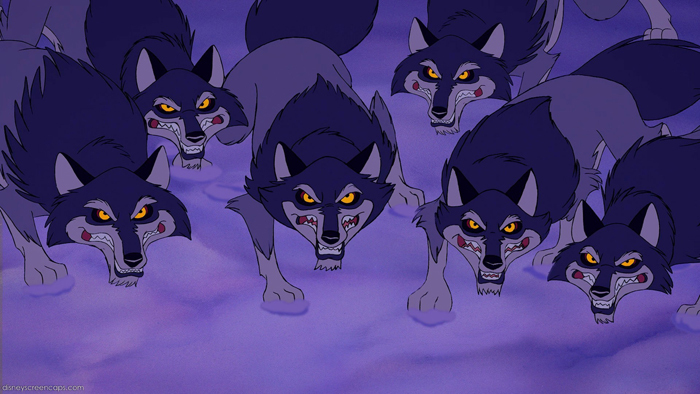 First of all both packs of wolves behave completely unrealistic as they snarl and snap their way after the protagonists. Wolves are familial creatures that tend to stay away from humans not the rabid dogs that both these films portray them as. Another parallel is that in both films a protagonist is thrown from their horse before encountering the wolves. 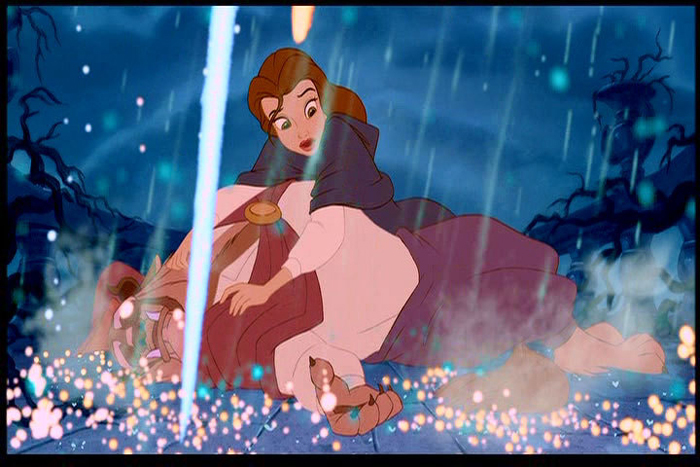 In Beauty and the Beast, Philippe is spooked by the howling of wolves and is thrown from Philippe, which in turn leads to him finding the castle. In Frozen it is a snowy branch falling that spooks Anna�s horse and it rears up throwing her off before abandoning her in the forest. The characters of Hans and Gaston were definitely cut from the same cloth, however it�s clear that twenty-two years has at least made this archetype a little sneakier. 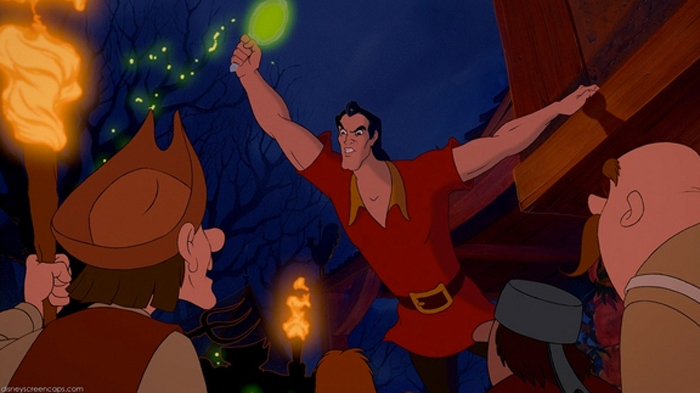 The main villain of Beauty and the Beast is the hunter Gaston. Portrayed as an �attractive fellow�, well built, strong jaw line and groupies to boot, Gaston is arrogant, self-serving and willing to do anything to get his way. (Including locking up Belle�s father in an insane asylum unless she agrees to marry him) He isn�t particularly bright or tactful and despite being given a chance to walk away and live, he tries to attack the Beast again and falls to his death. 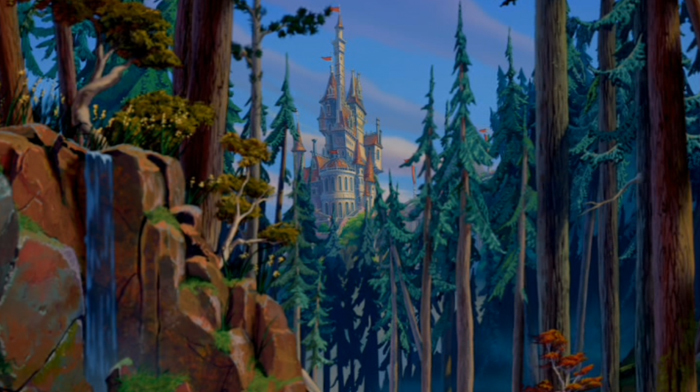 Hans, on the other hand, may have been more clever, but is really just an �improved� Gaston. A gorgeous man that has selected a woman he wants to marry because of the benefits it would give him, not for love or happiness. Unlike Gaston, the audience has not clued into Hans� selfish nature until Anna is at the brink of death, and just as Gaston turned his back on Belle to kill the Beast, so too did Hans turn his back on Anna leaving her to die so that he may have the crown to himself. One great thing that both these films have is a strong heroine who saves the day. Belle and Anna share more characteristics than two sets of double letters in their name. Quirky girls who grow up on their own for the most part Anna has her paintings and Belle her books. Both kind hearted souls they each have an opposite counterpart. The grounded Belle�s is found is the tumultuous Beast and the warm and bubbly Anna�s is found in the cold and stand-offish Elsa. Both these heroines by the end of their respective films will have �saved� their counterpart. Most Disney films have some level of magic to them whether there are characters that can consistently manipulate the magic such as the fairies in Sleeping Beauty or characters that are innately magical without explanation such as the gargoyles in Hunchback of Notre Dame. In both Frozen and Beauty and the Beast magic is used to create characters out of inanimate objects. Beauty and the Beast begins with the prince being cursed, however this curse not only affects him but everyone that lives within the castle. As a result all the servants are transformed into house hold objects such as a teapot, candelabra or clock. These enchanted objects make friends with both Maurice and Belle in hopes with more human contact the spell might be broken. These objects are not only responsible for the castle but also provide most of the comic relief and a few of the songs including Be Our Guest and the title classic Beauty and the Beast. In Frozen as all the magic is snow based it comes as no surprise when one of the snow men named Olaf gets magically turned into a live being. Olaf is not the only inanimate object to be magically brought to life: another snow pile is turned into a defensive Gollum that protects Elsa. Last but certainly not least are the rocks. Sure they may be trolls, but they spend a large portion of their time as lifeless rocks so I�m going to add them in the inanimate object count. 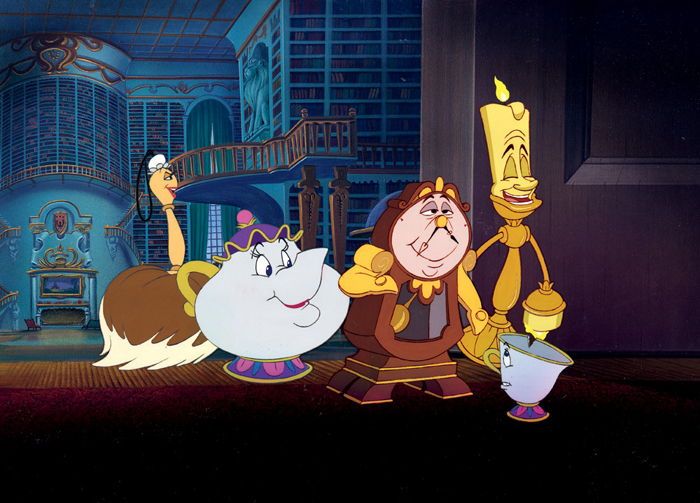 Olaf, like many of the objects in Beauty and the Beast is responsible for comic relief as well as a musical number, this one titled �In Summer�. Another major theme in both these films is that of rebirth. In both films we see a character momentarily �die� before the magic has fully taken effect. In Frozen when the villain aims to strike down Elsa � Anna must choose to save her own life by running towards her true love, or saving Elsa�s, and as the heroine it is not hard to imagine which she picks. As Anna slides between the two raising her arm to stop Hans� sword from coming down she becomes the namesake of the movie � frozen. Her icy form shatters the blade and a final breath is seen escaping her lips. As Elsa cries over her sisters frozen form, the ice begins to thaw ever so slowly and the way is paved for a happy ending. 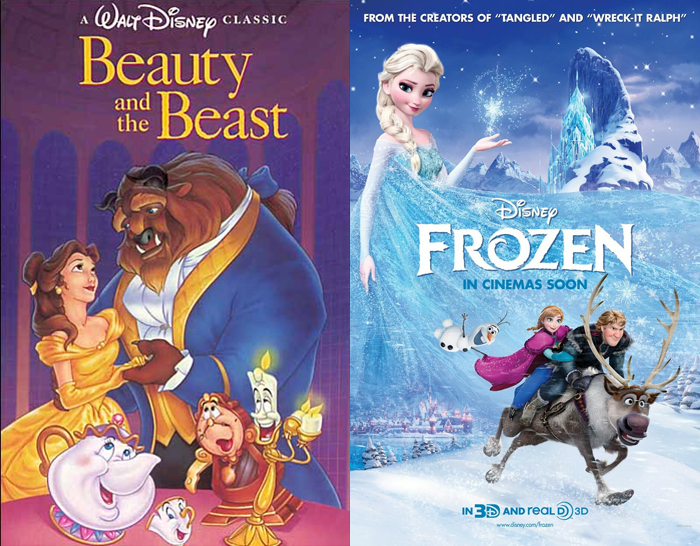 In both these films our outcast heroes Beast and Elsa have to deal with masses that do not simply �dislike� them, but in fact fear them. Fear is a strong emotion and when it comes in the form of a group it can have immense power. In both these instances persons of the mob cry out for the death of these characters. There was much less tact in the declarations made in Beauty and the Beast. In fact probably my favourite line from the entire film to date is �We don�t like what we don�t understand, in fact is scares us and this monster is mysterious at least...�. 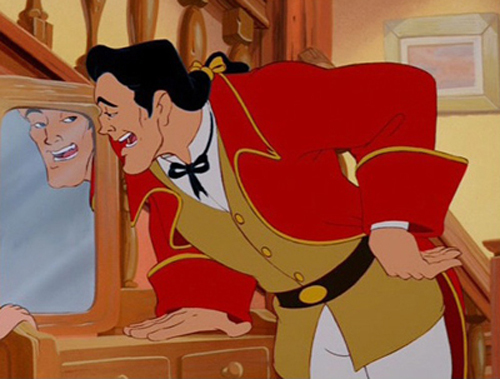 The Beast was believed to literally be a figment of Maurice�s imaginations until Belle shows them the magic mirror at which point Gaston finds it no trouble to rally up the townspeople to add yet another head to his collection. Of course he tells the village people that �The beast will make off with your children, he�ll come after them in the night � we�re not safe until his head is mounted on my wall!� ...But five minutes ago you didn�t know he existed and he�s been chilling in the forest for ten years guys... if he wanted to eat your kids he would have done it already. I think this theme is one of the most important in these Disney films. In both instances if they had simply taken the time to understand each other and the nature of their differences all of this trouble could have been avoided. This is strongly applicable to everyone, so often we rush to conclusions without having all the information, which can have cataclysmic results if we are not careful. Disney is known throughout the world for its hopeless romantic stories; girl meets boy, boy meets girl they fall in love. Yet in both the 1991 film Beauty and the Beast and in the 2013 film Frozen take a different approach to �love at first sight�. Beauty and the Beast demonstrated that love by sight, such as Gaston�s love of Belle is shallow and egotistical. While pushing the motive that appearances can be deceiving (with the beautiful Gaston a villain and the hideous Beast a hero), this film also shows us that love is earned. That it grows over time and is about the person that you are inside as much as out. Frozen, albeit 22 years later, took a much more humorous approach. 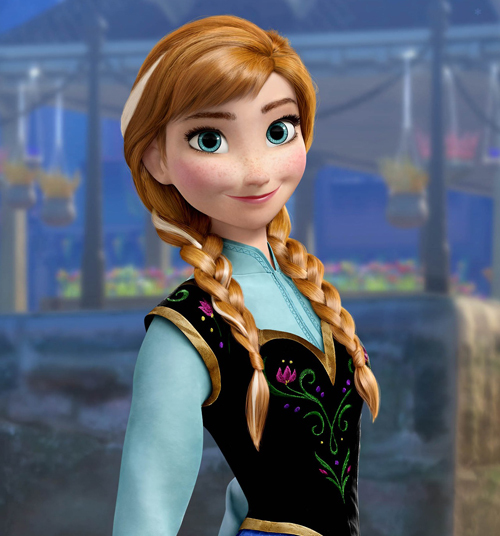 When Anna begins to proclaim her plans for marrying Hans Elsa stiffly states, �You can�t marry a man you just met.� Clearly this is more humorous for the audience who is well acquainted with typical Disney plot than it is to Anna who fights back ultimately leading to Elsa�s powers being unveiled. Even Kristoff repeats several times �You got engaged to someone you just met that day?! HANG ON! You mean to tell me you got ENGAGED to someone you just met THAT day? !� The scene devolves into him drilling her on what she actually knows about her �true love�. 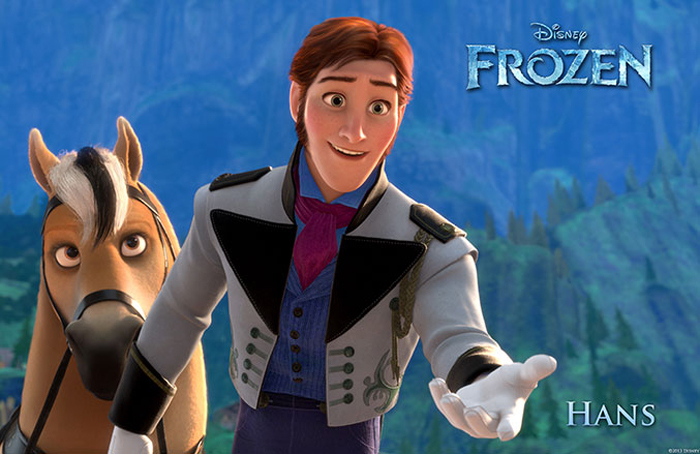 Despite all this Anna and Hans are in love and remain determined to be married. Of course, that is until Anna is on the brink of death and Hans turns her away revealing his true nature. If only Anna had listened to her sister, and how love at first sight can be very different that what it seems.